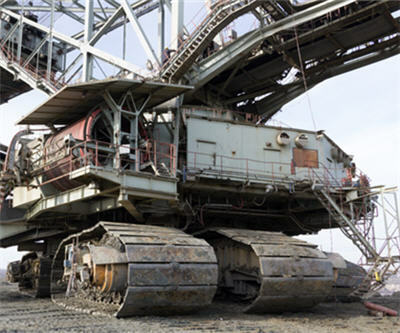 Australian miners have reduced overhead by $2 billion and laid off nearly 10,000 miners over the last couple of months, according to a report by R2Mining and CostMine. "The majority of the Australian mining industry has found that it is no longer profitable to invest in the current economical climate," writes the report authors, Shahriar Shafiee and Nick Abbate. 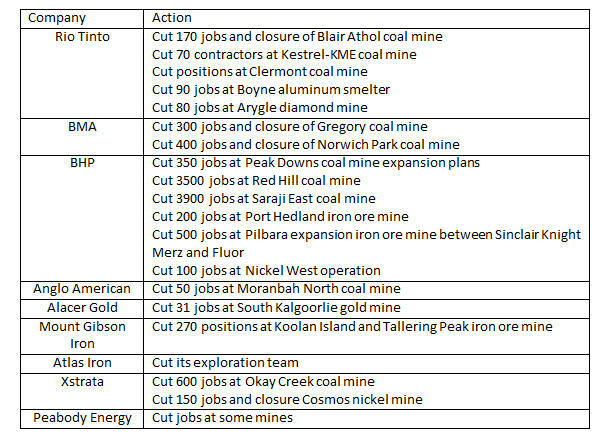 The main factors threatening the Australian mining industry are the fall in mineral commodity prices over the last 12 months, the uncertainties created around the mining and carbon taxes, an increasing royalty rate, a strong Australian dollar, and slowing of China’s economic growth. Therefore with the no improvement in commodity prices expected in the short-term, Australian mining companies have to reduce overhead and operating costs as well as non-essential expenditures in order to keep mining project assets in positive value.